A Great Big World is an American Indie band comprised of Ian Axel and Chad King. The duo began writing together while attending NYU’s Steinhardt Music Program. The duo is best known for their singles “This Is the New Year”, which was performed by the cast of the hit TV show Glee, and their international hit “Say Something”. “Say Something” was originally released in February of 2011 as a single on Ian Axel’s solo album This Is the New Year. That version of the song featured Axel’s vocals paired with the harmonies of guest vocalist Jenny Owen Youngs, but the track went largely unnoticed until it was used on the TV competition So You Think You Can Dance?. This exposure on a national stage would spark a chain reaction that allowed the song to eventually make its way to Christina Aguilera, who contacted A Great Big World about recording her own version with them. This version was released on January 1st, 2013 as a single, and as a track on A Great Big World’s debut album, Is There Anybody Out There?. 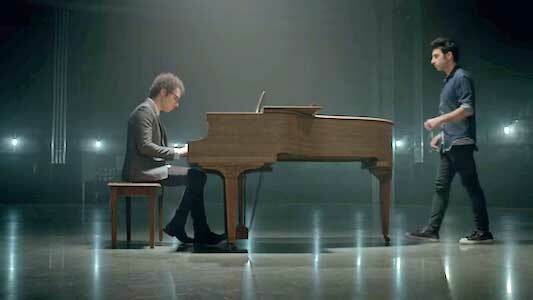 A Great Big World perform the song next to a grand piano. Aguilera’s vocals are a surprisingly great pairing for the song, offering a strong and resolute base for Axels’ more tender vocals to shine. Her voice also gives the song a sense of grandeur, taking it from a sorrowful indie-song to a cinematic power ballad. The simple piano melody is almost haunting in a way, and it helps highlight the lyrics of the song which are a beautiful, bittersweet tale of unrequited love. They offer a look at a someone who is begging the love of their life to say if they have the same feelings. At this point though, the singer has been waiting for so long that they are ready to leave the love of their life behind. He/she would’ve done absolutely anything for them had they just said something, but now they’re swallowing their pride and saying goodbye. It’s very real pill to swallow for a lot of people who have been in a one sided relationship before, and that makes the emotion of the song that much greater. The video is set on a barren soundstage, adding to the emptiness and loneliness of the song. 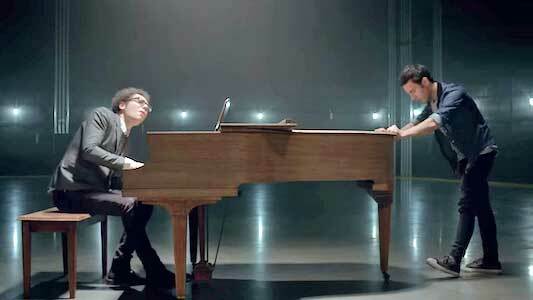 The music video is a simple, bare bones set-up with A Great Big World performing the song on an empty sound stage in front of a grand piano. Co-writer Chad King is wearing black chucks as he stands by the piano, which is played by bandmate Ian Axel. This setting is then added too with little scenes of couples in different stages of life. Christina Aguilera then enters wearing a classy black dress, marking how melancholy the video is. We see all the relationships end in different ways, but the heartbreak is the same every time. It’s a very emotional and heavy video, and it perfectly encapsulates the mood set by the song. Chad King wears black chucks in the music video.